Shiver me timbers! Today marks the 10th Anniversay of International Talk Like a Pirate Day! It’s only fitting that we acknowledge Blackbeard’s stint in the waters off of Hatteras and Ocracoke Islands by amusing ourselves and our friends by talking like a pirate instead of ye ol’ landlubber! On June 6, 1995, friends John Baur (Ol’ Chumbucket) and Mark Summers (Cap’n Slappy) began using pirate lingo while playing a game of racquetball and were having so much fun that they then decided to parlay this phenomenon into a new world holiday. The date Sept. 19 was chosen because it was Mark’s ex-wife’s birthday, and the only date that came to mind at the time, besides Christmas and Superbowl Sunday, which were obviously already taken. The first seven Talk Like a Pirate Days were celebrated amongst Ol’ Chumbucket and Cap’n Slappy and their closest friends. The two friends soon realized it would be a great idea to spread the word of this fine day and make it official. National humor columnist, Dave Barry, received word of the holiday and paid homage to it in a 2002 column. Avast! Talk Like a Pirate Day started gaining international appeal! Check out this list of terms and phrases and be sure to partake in International Talk Like a Pirate Day! Shiver me timbers!- An exclamation of surprise, as when a ship hits something causing everything to shake. Thar she blows!- Signifies a whale sighting. Touch and go- Refers to briefly running aground, or two ships coming aboard to transfer mail or passengers, both risky propositions. Pipe down- Most 18th century ships had a lights-out rule, indicated when the bosun’s pipe sounded. Even pirate ships had a set time when those who were not on watch were expected to go to bed. Mind your Ps and Qs- Refers to tavern keepers who would extend credit to sailors and would keep track of how many pints or quarts of ale their customers consumed. Batten down the hatches- Saying used to let everyone aboard know to put everything away on the ship and to tie everything down because a storm is brewing. Now, that ye ol’ pirate vocabulary is in shipshape, go out there and spread the word of this fun-filled holiday! 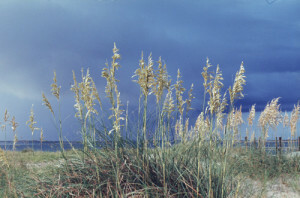 U.S. News and World Reports has ranked the Outer Banks as the Top Family Beach Vacation in the USA! It’s official! 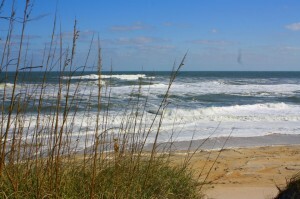 The Outer Banks is the place to come to truly vacation! Miles and miles of vast, unspoiled beaches await you on this slender stretch of barrier islands. There is beauty around every bend and twist, whether it’s Corolla’s wild horse population, Jockey’s Ridge State Park, Pea Island National Wildlife Refuge, or the Cape Hatteras Lighthouse. There is something to pick everyone’s interest and invite you to explore the #1 Family Beach in the USA! Experience world-class fishing, as well as the #1 surfing and kiteboarding destination on the East Coast. The Outer Banks also abounds with rich history and exciting exhibits! 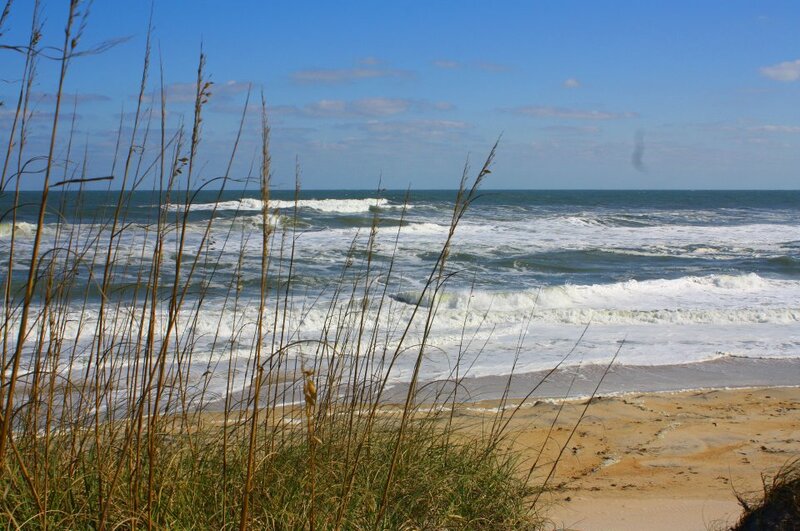 Relax, explore, adventure, and immerse yourself in the Outer Banks! Afterall, we’re #1! 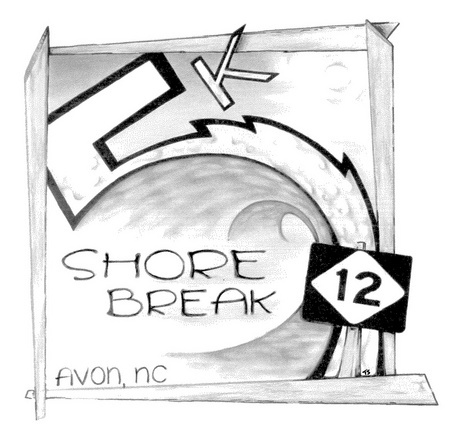 See you in the Outer Banks! Currently, the Hatteras-Ocracoke ferry service is still having difficulty due to shallow water conditions in the Hatteras Inlet channel. According to the US Army Corps of Engineers, dredging is scheduled to start early Saturday, May 12th to attempt to alleviate the situation. Because of temporary suspensions or size and limit restrictions on ferry runs, the Ferry Divion of NCDOT has added two additional departures from both sides of the Swan Quarter-Ocracoke route for this weekend in order to accommodate travelers. There will be a 7am and 1pm departure from Swan Quarter to Ocracoke, in addition to the regularly scheduled 10am and 4:30 departures. From Ocracoke to Swan Quarter, there will be a 10am and 4pm departure, in addition to the regularly scheduled 7am and 12:45 runs. The Ferry Division will continue to monitor the channel and could possibly extend extra runs. Reservations must be made for the Swan Quarter-Ocracoke ferry and can be made by calling 800-BY-FERRY and pressing “2” or by visiting NCDOT on the web. Updates are available by calling the Hatteras ferry terminal at 252-986-2353 or by following NCDOT Ferry on Twitter.